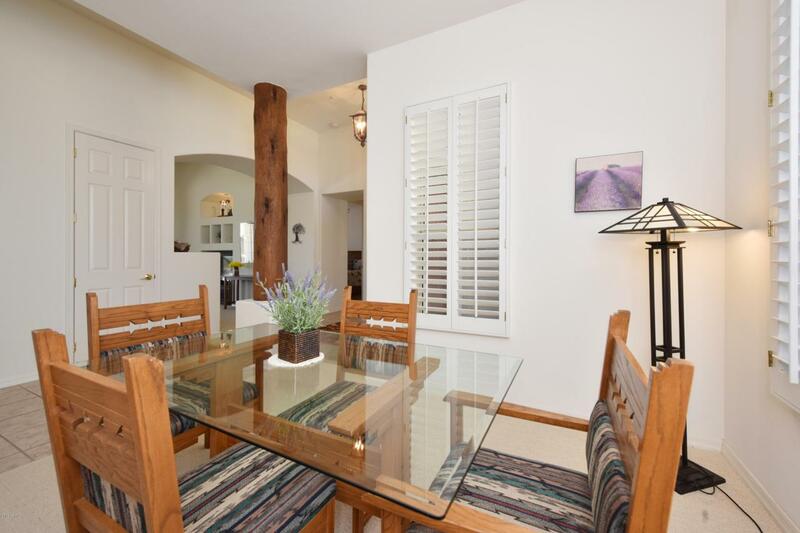 Meticulously maintained Santa Fe style home with Pinnacle Peak views. Light, bright and open great room floor plan. Updated kitchen with Caesarstone quartz counter tops, GE Profile S/S appliances, breakfast bar plus a custom designed pantry that any cook will love. The guest wing has a jack n' jill bath and is split from the Master suite. 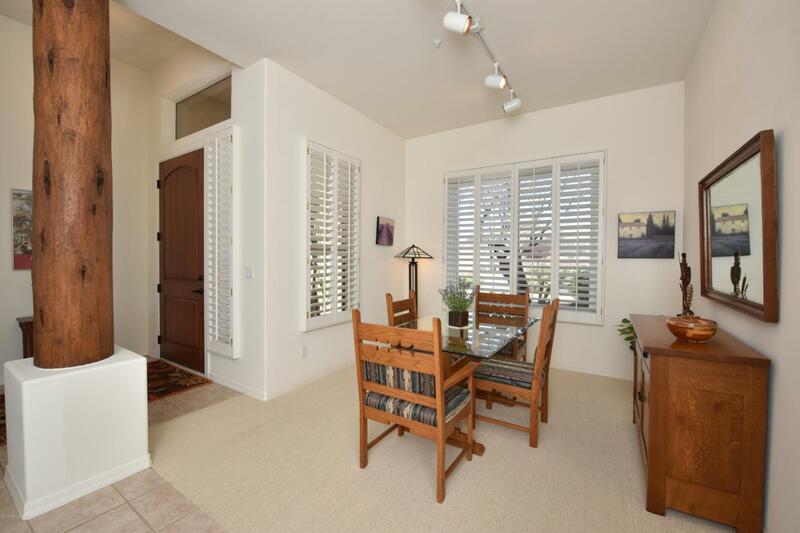 Expanded Master with custom designed closet and a separate exit to the patio. 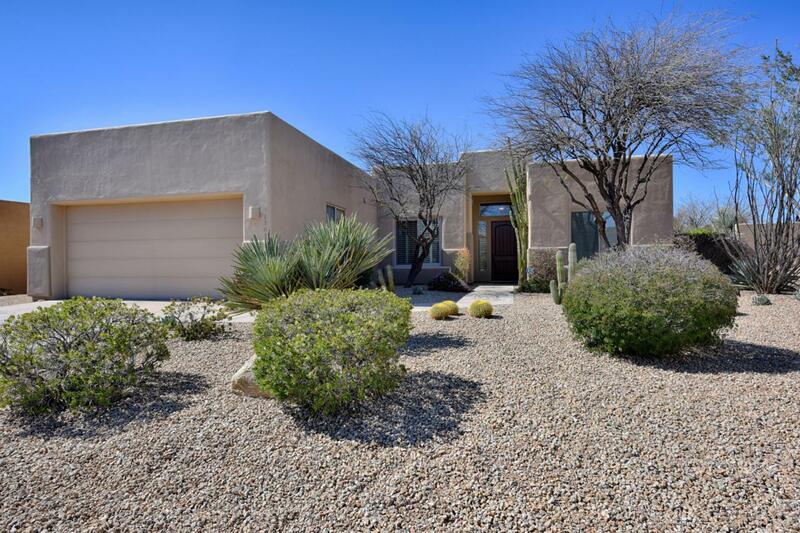 Plantation shutters, Anderson sliding glass doors and windows plus, a lovely custom front door (see doc tab for more details), Quiet, private setting backing to a desert wash with boulder outcroppings and lovely sunset views. Pebble Tec pool with soothing waterfall. Oversized garage with epoxy floor and separate storage closet. 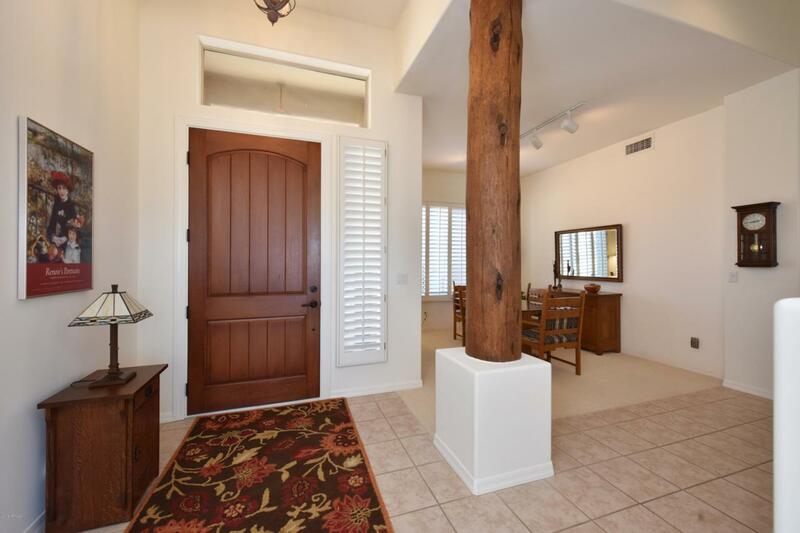 Gated community and a great place to call home!